[SatNews] A successful launch, followed by the testing process, and now the controls are handed over to the Client Company. 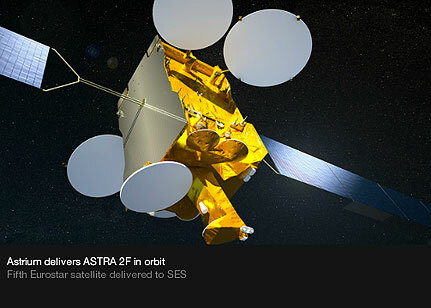 Astrium has successfully completed the ASTRA 2F testing in orbit and has handed over the control of the satellite to SES who will now validate the performance of its communications payload before placing it in operational service at its 28.2 degrees E orbital location. Launch and Early Orbit Phase operations have been conducted from the Astrium spacecraft control center in Toulouse. Astrium took control and commenced in-orbit operations of ASTRA 2F following its launch by Ariane 5 on September 28 2012 from Kourou. The satellite reached geostationary orbit on October 4 where it fully deployed its solar arrays and its four antenna reflectors. The ASTRA 2F satellite is based on Astrium’s highly reliable Eurostar E3000 product line, with a launch mass of 6000 kg and a spacecraft power of 13 kW at the end of its 15 year design lifetime. 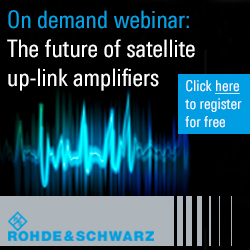 Its Ku- and Ka-band payloads will enable the delivery of next generation broadcast and broadband services in Europe, Middle East and Africa. It will be the fifth Eurostar satellite in the SES fleet following ASTRA 2B, ASTRA 1M, ASTRA 3B and ASTRA 1N, all four currently in operation delivering flawless service. Astrium is constructing four other Eurostar E3000 satellites for SES: ASTRA 2E and SES-6, both currently undergoing final assembly and testing, ASTRA 5B and ASTRA 2G.